The Amazon Kindle Fire HD 8.9 with AT&T 4G LTE will be available beginning on April 5 for $249 with the proper two-year agreement, the carrier announced on Monday. To take advantage of that price you'll need to purchase the tablet from an AT&T retail store within a certain time window (AT&T wasn't specific as to how long it will last) to earn up to $150 off of the device. That's a solid deal and you'll save $20 over the recent price drop from Amazon. The Kindle Fire HD 8.9 offers an 8.9-inch display with a 1920 x 1200-pixel resolution, a 1.5GHz dual-core ARM Cortex-A9 processor, 16GB, 32GB or 64GB of storage, a 1.3-megapixel front-facing camera, a microHDMI port and access to Amazon's massive ecosystem of movies, music, TV shows and books. The Kindle Fire HD 8.9 can be added to an existing Mobile Share plan for just $10 per month, which means it can access the same bucket of data your other devices use. 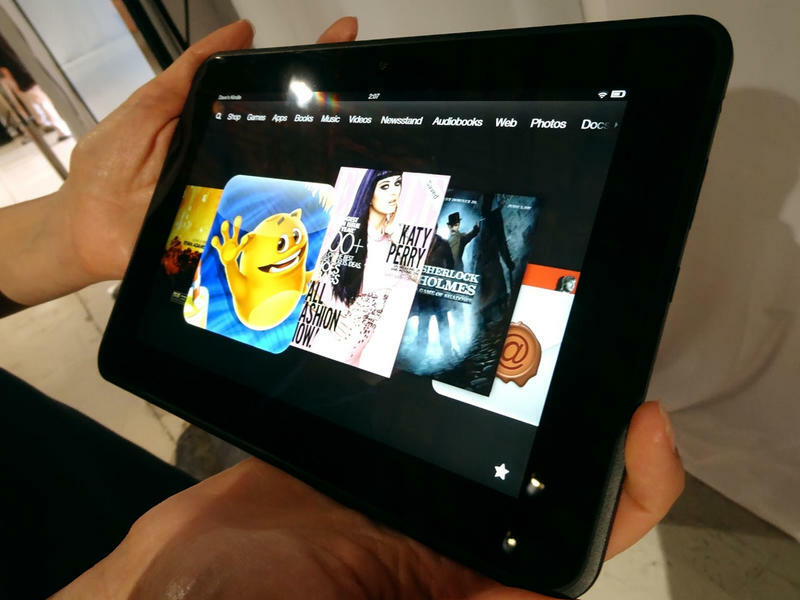 Large 8.9" display has the highest resolution of any Kindle Fire (1920×1200, 254 ppi), with rich color and deep contrast; ideal for movies, apps, and gaming. Custom Dolby audio and dual stereo speakers for crisp, rich sound. The most popular apps and games. Exceptional battery life — Kindle Fire HD 8.9" gets 10 hours of battery life. "Buy Once, Enjoy Everywhere" with Amazon apps available on the largest number of platforms so customers can use their Amazon content on any of their devices. 1 $100 off any tablet discount requires a new 2-yr wireless agreement with data (min $14.99/mo.) plan or Mobile Share plan. Two tablet purchase limit per account. An additional $50 activation credit is available for customers who purchase their device at AT&T retail stores. 3Limited 4G LTE availability in select markets. LTE is a trademark of ETSI. Claim based on a comparison of U.S. national carriers' average 4G LTE download speeds for Android™ and Windows smartphones and iPhone 5. 4G speeds not available everywhere.